D. BRYANT SIMMONS is an award-winning author who pens realistic fiction that straddles the line between art and social commentary. She is currently hard at work on The Morrow Girls Series, a family saga that spans three generations of women. Simmons incorporates meaty topics, such as domestic violence, addiction, and mental illness into her fiction. She believes novels can act as agents of change and hopes that her writing will inspire and empower women. She is a graduate of the Univeristy of Illinois where she earned her BA in Sociology. She also has an M.Ed in Education. D. Bryant Simmons resides in Chicago, Illinois. Blue Sky by Bryant Simmons is the second novel in the Morrow Girls Series. Pecan finally has all her daughters back and is fighting hard to keep them out of trouble. The problem is, life has taught the girls that nobody can tell them what to do, not even their mother and, unfortunately for Pecan, the harder she tries to bring them to heel, the more they pull away and rebel against her. Eventually, the past catches up with them and the girls wind up against each other, tearing the family unit asunder once more. Pecan tries so hard to save her family from falling apart before it’s too late, but can she do it? Or will the girls continue to destroy each other and themselves? Follow Pecan, Mya, Nikki and Jackie as they tell their stories for the world to listen to. 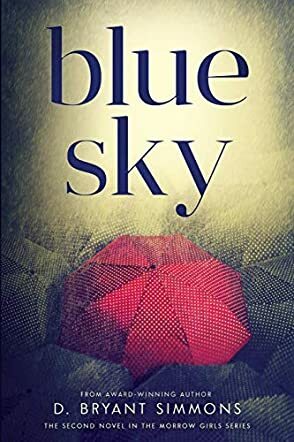 Blue Sky by Bryant Simmons was a good read. Although I hadn’t read the first one, the brief synopsis at the beginning helped me to understand the background of the story. The four separate stories in the book are very skilfully woven together in one incredible novel that made me wish I had read the first one, and I will definitely be looking for the next one. The characters were well developed, the tale had real meaning to it, not rambling like some stories do but with a definite direction in mind. Loved the story, and will definitely be on the lookout for number three in the series.